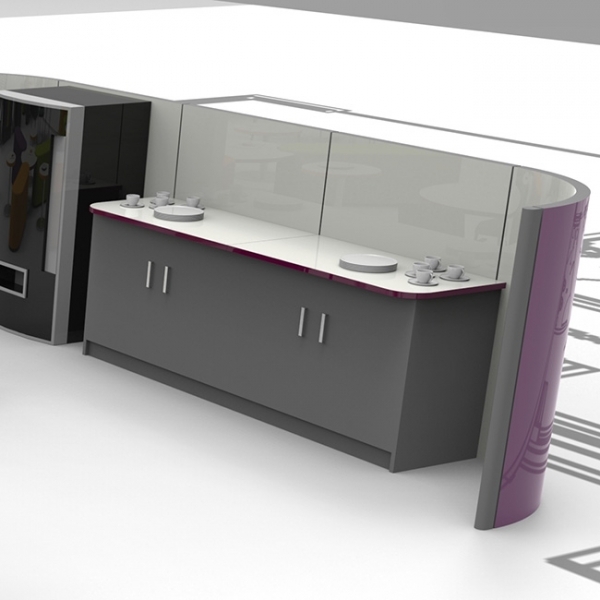 Sub-dividing spaces create semi-private environments within dining spaces, whilst the curves ease flow which is specifically relevant when you’re negotiating the space with a tray full of food and drink! 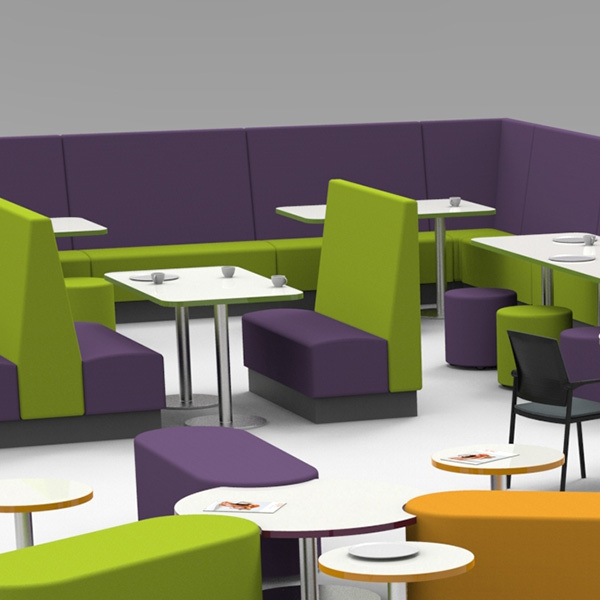 From booths straight out of a fifties diner, through to fitted seating that is particularly space efficient and allows a great degree of flexibility in accommodating a large number of students. 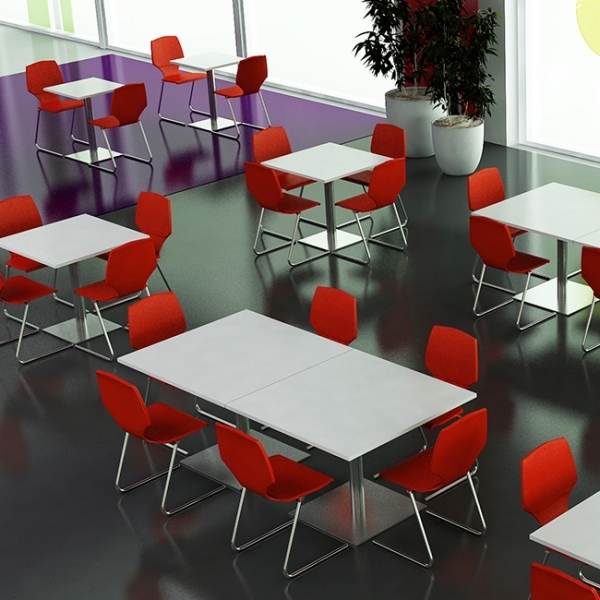 Adding in individual café seats makes these spaces less school canteen and more high street restaurant. From folding tables that can stack away to one side, to circular café tables promoting groups to share lunch together, our table collection is both robust and attractive, creating a sense of style in your dining space.